I'm playing along with the Global Design Project challenge (again) this week, which is a sketch challenge. This blog post will be a short one, so please let me know if you have any questions about supplies needed. As you can see, mine is a loose interpretation of the above sketch. I made this card to give to my Husband for Valentine's Day. I just love the watercolor-y, abstract look of this card! Don't forget that Saleabration is going on right now! For every $50 worth of products you purchase, (before shipping and tax) you will receive one item from the Occasions catalog. (Click on "catalogs" link above) The products may be chosen from any current catalog, clearance or weekly deals. Please use the hostess code shown in the top right corner when ordering online, unless your order will total $150 before shipping & tax. At that point, you become your own hostess and get all the rewards! Beautiful watercoloring behind the sentiment, Kim! Great card! Thank you so much for playing along with this week's Global Design Project Sketch Challenge! 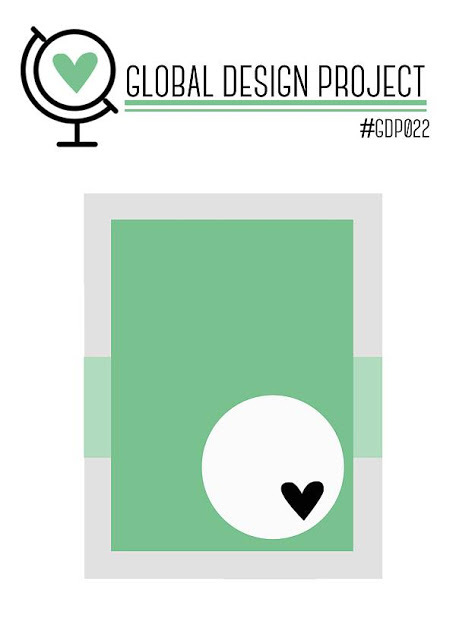 Kim - Congratulations on your selection as a winner over at Global Design Project this week. Your watercolored backdrop is exquisite! Shocked and surprised! So many talented entries. Thank you so much. Beautiful card. Congratulations on winning the Global Design Project this week. I definitely can see why.